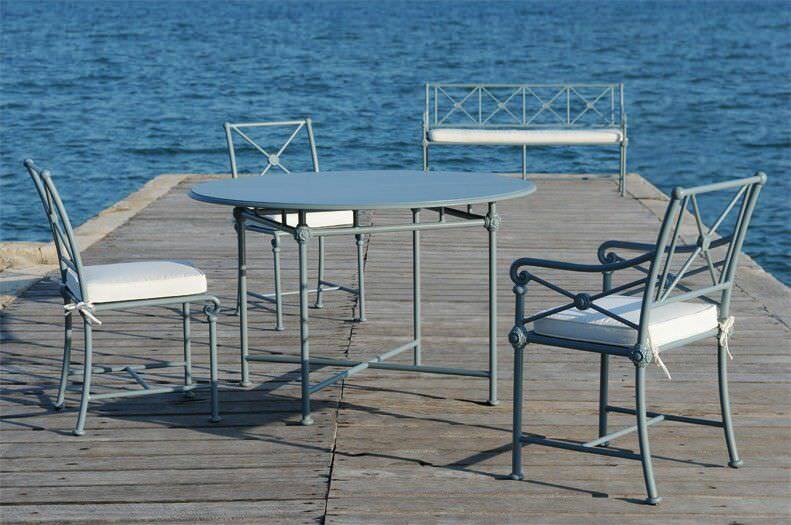 The re-issue, in 2006, of the bench that had belonged to Madeleine Castaing highlights Tectona's close ties to the history of design. The "great lady of decoration", muse and patron of Chaà¯m Soutine, chose this perfectly proportioned restoration bench for her garden. 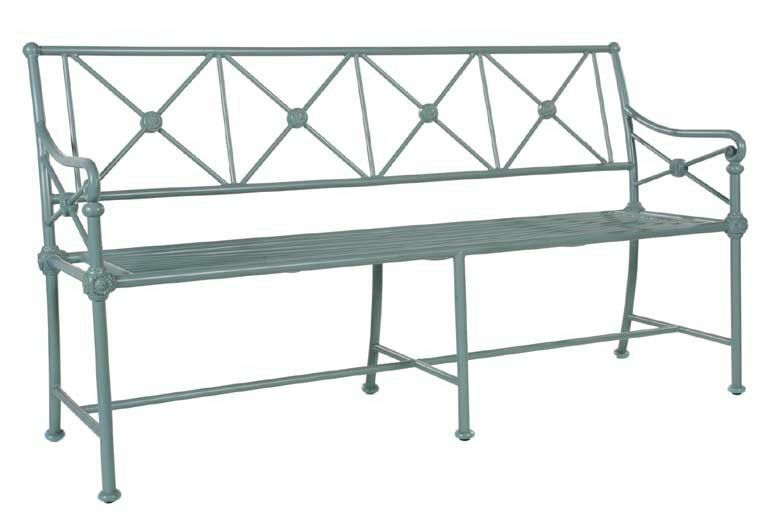 A sign of the times, the bench is now considerably lighter, since it is now fabricated from aluminium. 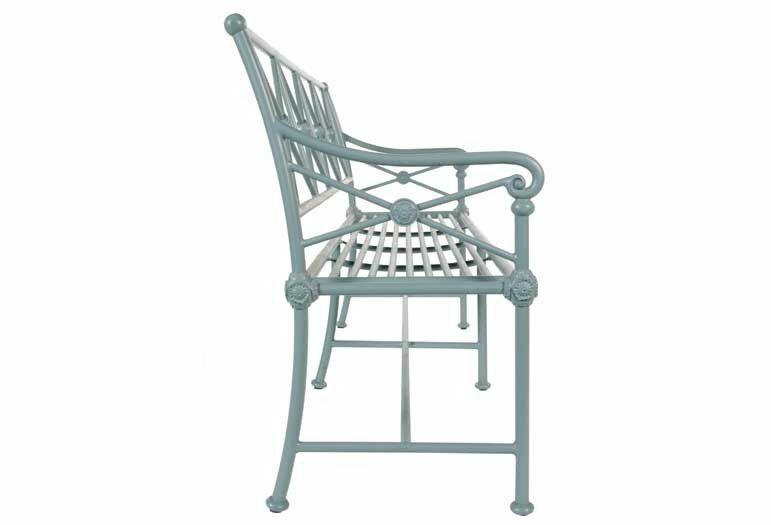 The use of this corrosion-proof material, consistent with the creation of a line also including an armchair, a chair and a table, was the only formal significant modification of this bench. The bench comes with white Sunbrella cushion.